After making a few visits to Chef Hung in the past month, I was off in search of some more TBN!! Because really, what's better than a piping hot bowl of TBN? 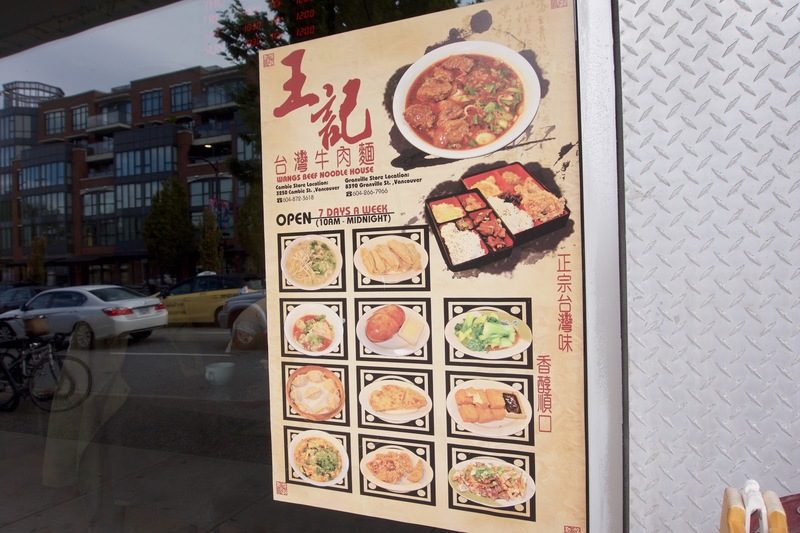 So since I was near Cambie that day, I decided to try out Wang's, as per uberfoodie LotusRapper's recommendation! Walking in, I was pleasantly surprised by how nice the interior was - especially for a noodle house! Definitely a good first impression. So I was super excited, only to be let down by a subpar bowl of noodles. 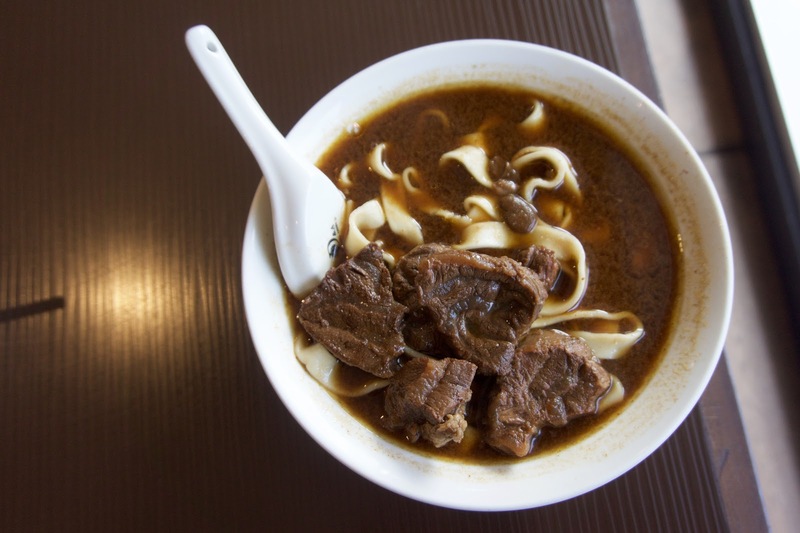 I was planning on coming back to try their other dishes, but after trying the lackluster noodles, I had second thoughts! Their TBN is their signature dish after all, so it should be their best dish! They also have other classic Taiwanese dishes like lu ro fan, taiwanese sausage, pig's feet, scallion pancakes, etc! 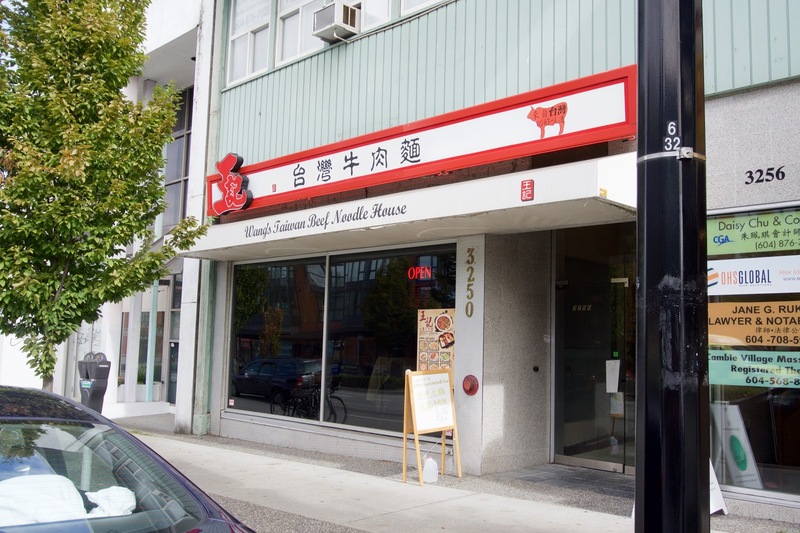 Wang's has two locations in West Van, this one on Cambie, and another one near Marpole!! I heard that the Marpole location is leagues better, so maybe I'll give that one a try if I get the chance! I was surprised by how nice the interior was! For some reason I was expecting Wang's to be a more hole in the wall type of place! I ordered a large, but they mistakenly gave me a small, so they gave me another bowl of small noodles on the side! Overall, this was just an okay bowl of TBN. I was expecting a lot more. 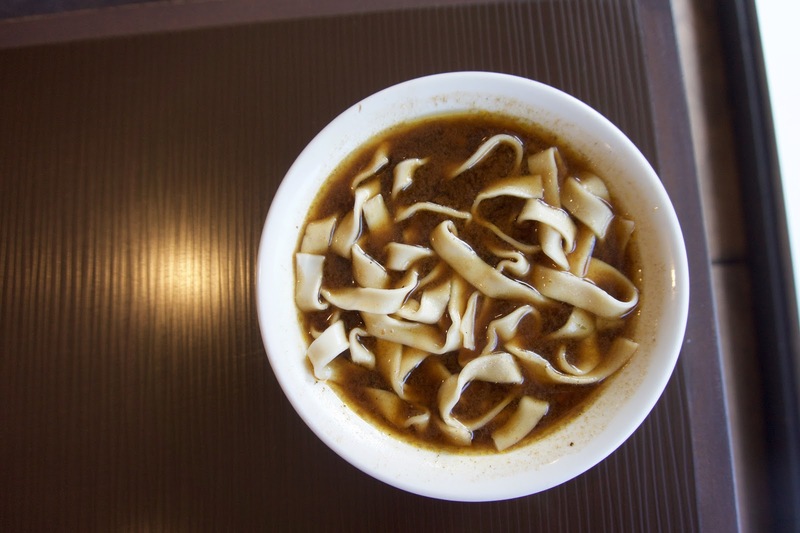 The broth didn't have any impact, it was rather one note. The spices were apparent, but it lacked finesse and sophistication (compared to Chef Hung.) The noodles were alright, they were cooked properly but they lacked bounce. The beef was reasonably tender, but like other reviews have stated, the beef was suspiciously bland, like it hadn't been stewed for long enough. The large size was pretty filling though! So for a little over $10, I left on a full stomach! I'm starting to think you're stalking me, Selina. I live kitty corner to the Chevron station, LOL. "uberfoodie" ?!? It would appear you have mistaken me for someone else, Selina ! 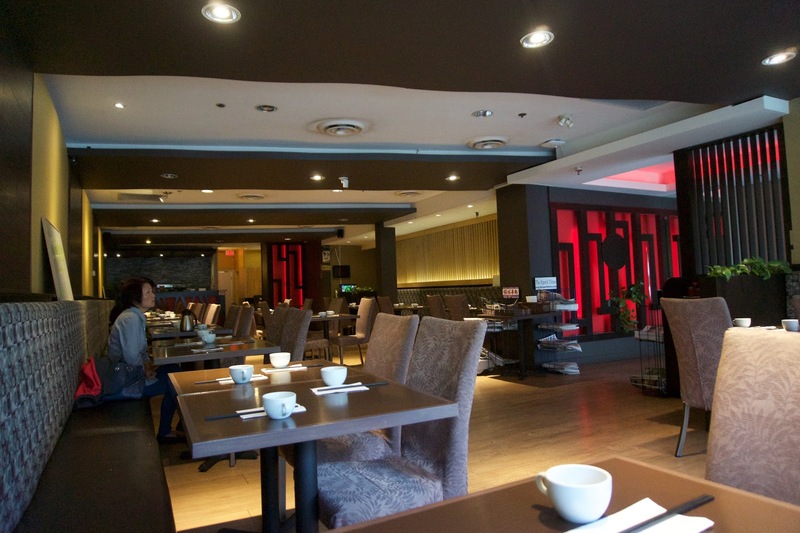 Judging by the reviews online, it seems like most people prefer the Marpole location! It can be hard to flag them down, especially since there was only one waitress! I saw Meishan Dong Po when I went last week and I made a note of my phone!! The place was packed during lunch, so maybe I'll give them a try! !